The exterior condition of this RV was in generally good condition. Just a little wear and tear. The interior was in great condition with a new 40" Flat screen TV installed. A new Microwave was installed. Air bag suspension replaced 4 years ago. The engine started up with no problem and ran great the entire time the local broker was there. The generator also started up and ran well under a load. The A/C units kept the RV nice and cold. The owner states that all electronics are in good working condition. Stock #160223 TURBO V8 !!! Excellent 36ft vintage motorhome. Garage kept. 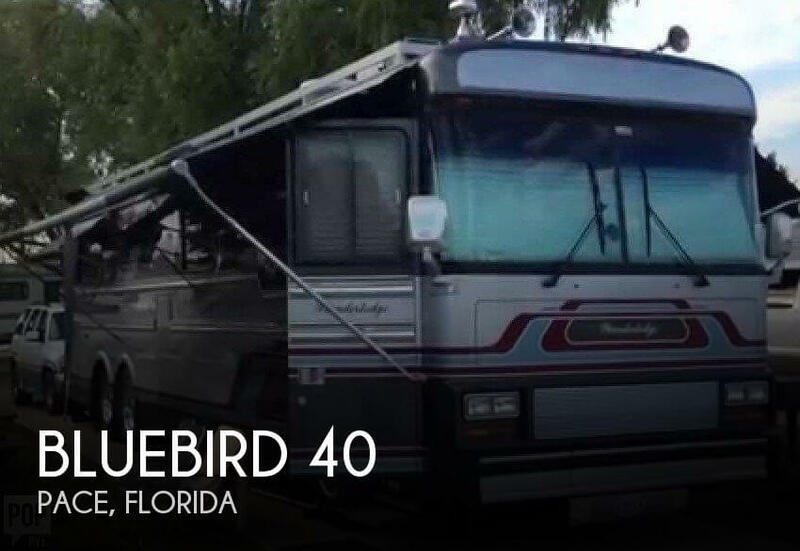 If you are in the market for a class a, look no further than this 1987 Bluebird Wanderlodge WLFC 3411, just reduced to $24,999. 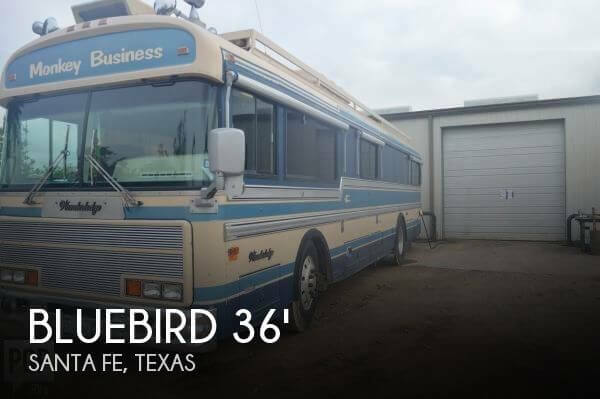 This Class A is located in Santa Fe, Texas and is in great condition. She is also equipped with a Caterpillar engine that has 96,374 miles (as of September 19). Reason for selling is not using enough. Bus has been well kept by the owner. Both generator started right up, as well as the engine. Lights inside are all working. ACs cool down this whole space in seconds. Tires have lots of good miles still on them. Floor is solid all around, as well as the walls. Furniture is in good shape, as well as the upholstery. Gauges on the dash are a little cloudy, is hard to red the digital screen on them. Outside there is a little dent on the driver side rear. Overall a great mobile operations center for any business. Stock #172267 Mobile Medical screening Health Clinic Coach Bus! Can be used for many purposes If you are in the market for a commercial bu, look no further than this 2006 Bluebird 30 Medical Bus, just reduced to $24,900. 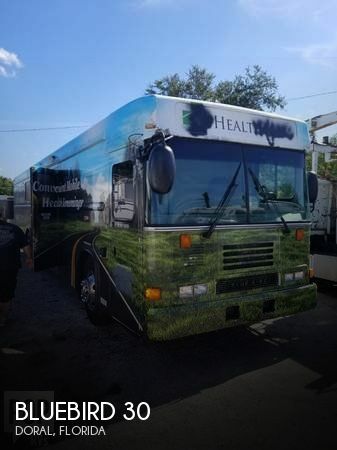 This Commercial Bus is located in Doral, Florida and is in decent condition. She is also equipped with a Caterpillar engine that has 220,000 miles. Reason for selling is not using it.